The 4 panel vertical Knightbridge fire door is a made to measure design, popular throughout many homes in the United Kingdom. 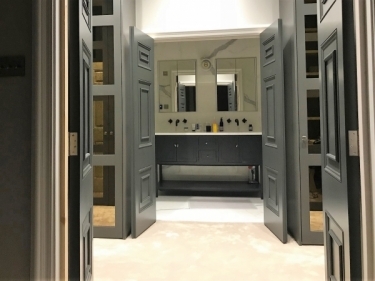 This door offer a subtle, but beautiful decorative moulding, finished by our skilled craftsmen in our Fermanagh based workshop. 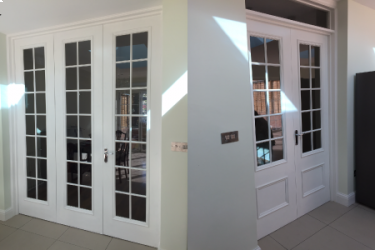 This door is a classic design that will blend with any contemporary interior. 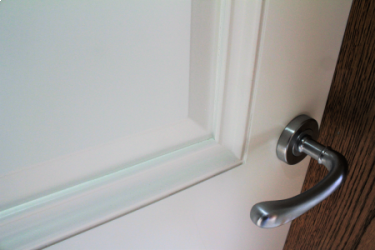 The door is primed and finished in white, and includes hardwood lipping and mouldings. Don't like this design? We can make the door in multiple other moulds, please inquire for more information.